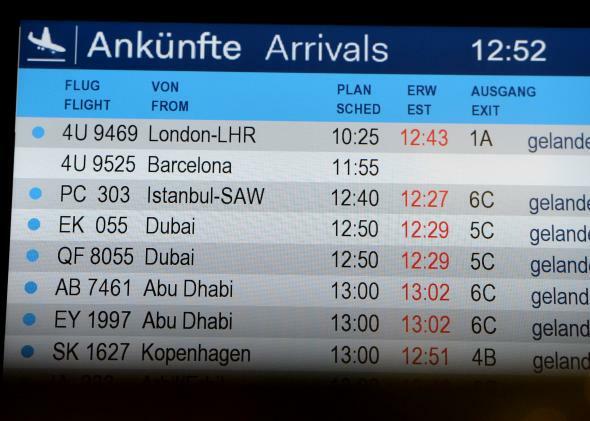 Germanwings Airbus crash: Are there more plane crashes now than before, or does it just feel that way? Have There Been More Plane Crashes Recently, or Does It Just Feel That Way? Are more flights crashing, or are we just antsier? At least 150 people have reportedly died after a German flight from Barcelona to Düsseldorf crashed in the French Alps on Tuesday, making it the fifth crash in just over a year to result in more than 100 fatalities. After several years of fewer and fewer recorded commercial crashes, have the past 15 months resulted in a major spike in plane crashes, or does it just feel that way? 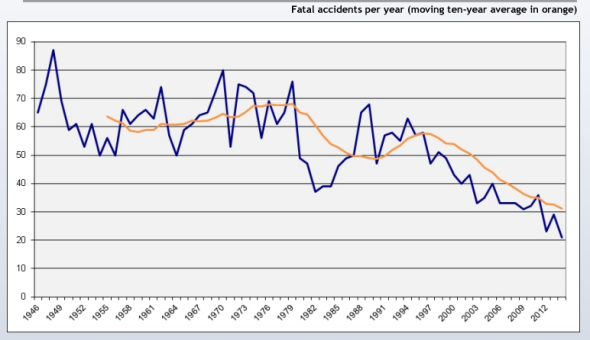 Last year was actually the safest on record for total number of crashes, according to the Aviation Safety Network. The 21 crashes in 2014—including Malaysia Airlines 370, which has yet to be found but is presumed to have crashed over the Indian Ocean—was the lowest number of commercial crashes since at least 1946, according to ASN. Number of commercial crashes per year. But a number of high-profile and high-fatality crashes resulted in a total of 990 deaths last year, the highest number since 2005, which was the last year to see 40 or more commercial air crashes. The six reported fatal commercial crashes since the start of the year would put 2015 on pace to surpass the 2014 number of total crashes, and at least 236 people have reportedly died so far in plane crashes this year. If those numbers were to continue at a similar rate, 2015 would also surpass 2014 in fatalities. The thing to remember about these incidents, however, is that while the risk of dying in a plane crash seems to be on the rise in the past 15 months, it is still vanishingly small and actually an improvement on historic records. Prior to 2002 the number of deaths in commercial flight accidents, hijackings, or acts of sabotage exceeded 1,000 in every year but two going back to 1987, according to numbers provided by ASN. The downward trend—both in fatalities and overall number of crashes—is a recent one, with the world averaging 731 deaths and 31 commercial crashes per year in the past 10 years and 1,118 deaths and 45 crashes in the 10 years prior to that. If you look at crashes per number of flights as estimated by the International Civil Aviation Organization, 0.0001 percent of flights have crashed in the past 10, years resulting in one death for every 38,549 flights. Because 2014 was particularly deadly, it resulted in slightly more fatalities, with one death every 33,333 flights despite a record number of departures. But the percentage of flights that crashed actually shrunk nearly in half from the 10-year average to 0.00006 percent. The public perception of flying since the start of 2014 has potentially been skewed by a number of particularly terrifying high-profile crashes, including the Malaysia Air flight that disappeared last March killing 239, the Malaysian Air flight that was shot down over the Ukraine last summer carrying 298 people, an Air Algérie flight that crashed in Mali last summer, killing 116, an Indonesia AirAsia flight that crashed in December, killing 162, a dramatic TransAsia Airways runway crash that killed 43 people last month and was captured on tape and posted all over Twitter, and Tuesday’s disaster in France. If you look back as recently as 2013, the highest-total-fatality accident that year was a Russian crash that killed 50, according to the Aviation Safety Network. In the three years prior to 2014, only two crashes resulted in more than 100 fatalities. But in 2010, the year prior to that relatively safe-appearing three-year period, there were three crashes with 100 or more fatalities and five with 90 or more, so the spate of high-fatality crashes is really not that much of an anomaly even when compared with the relatively safe recent past.